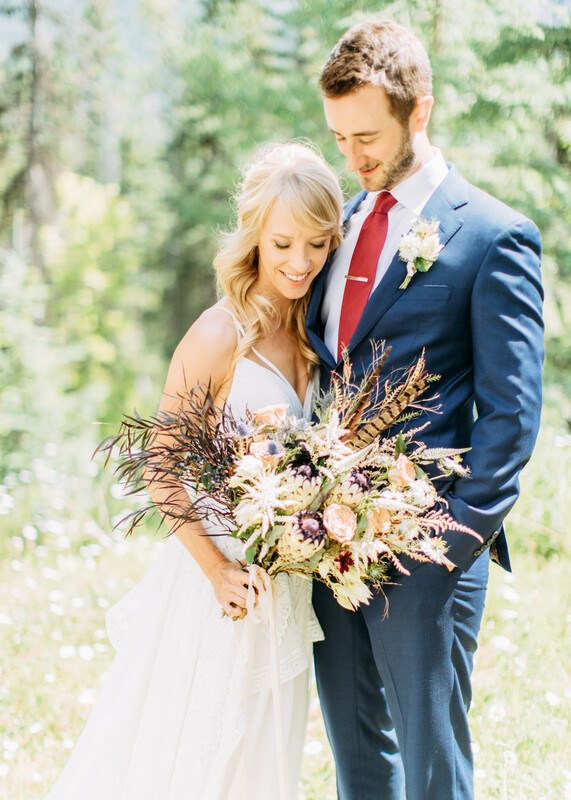 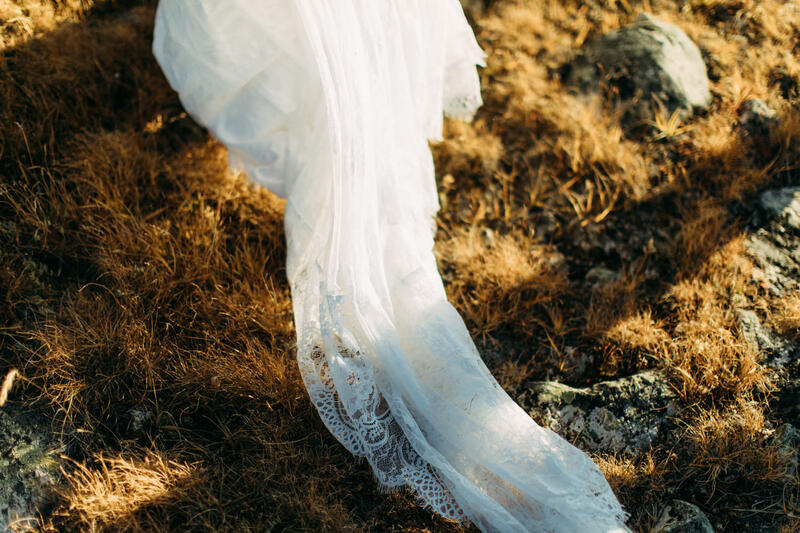 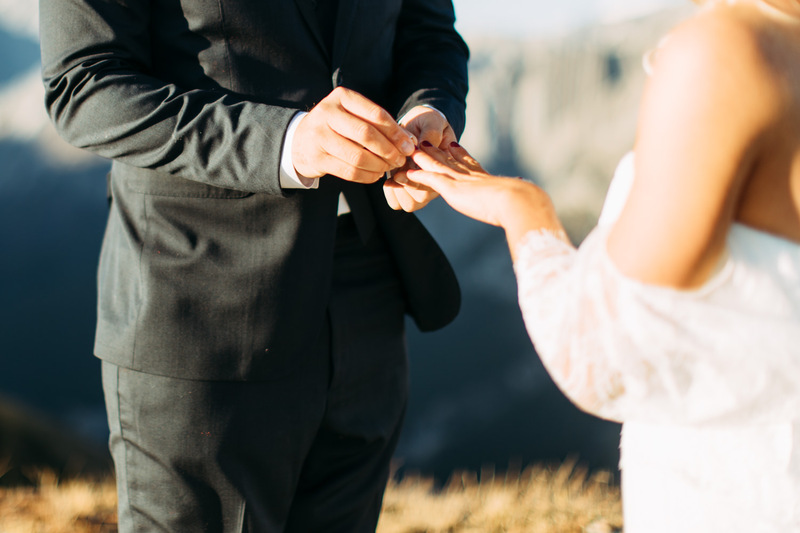 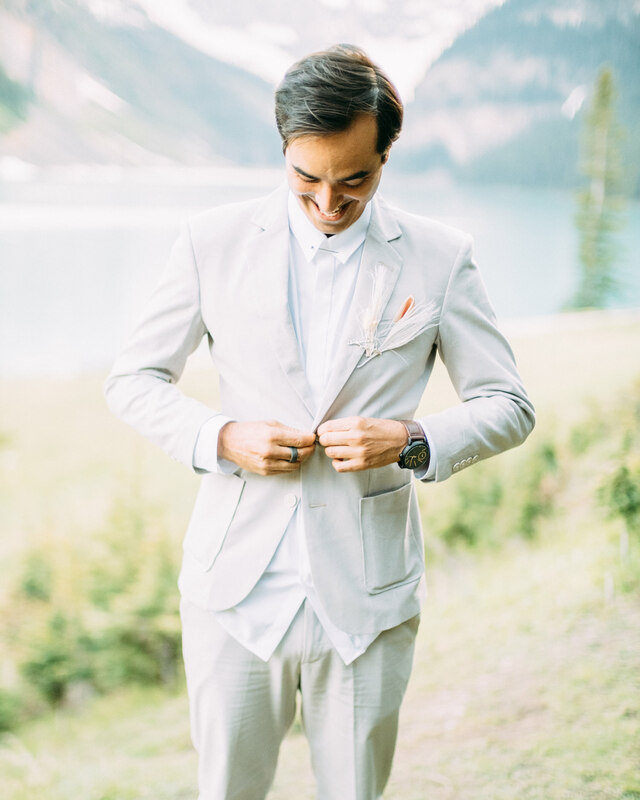 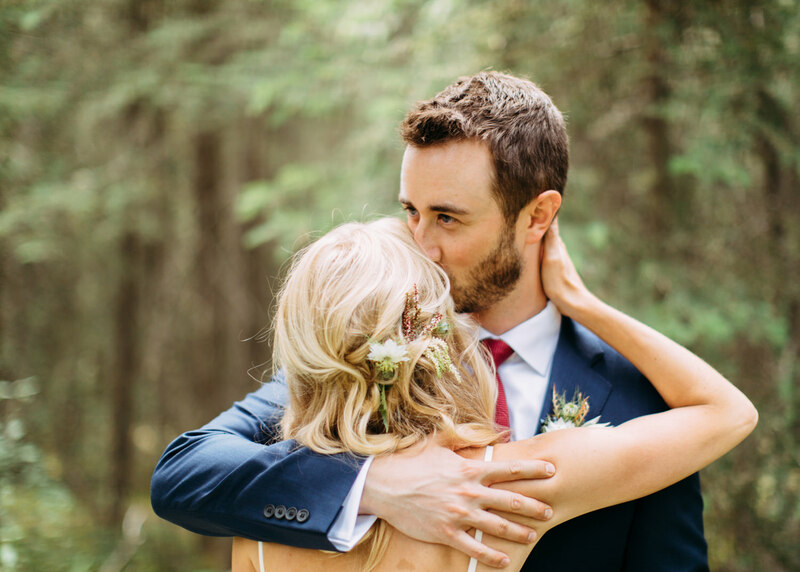 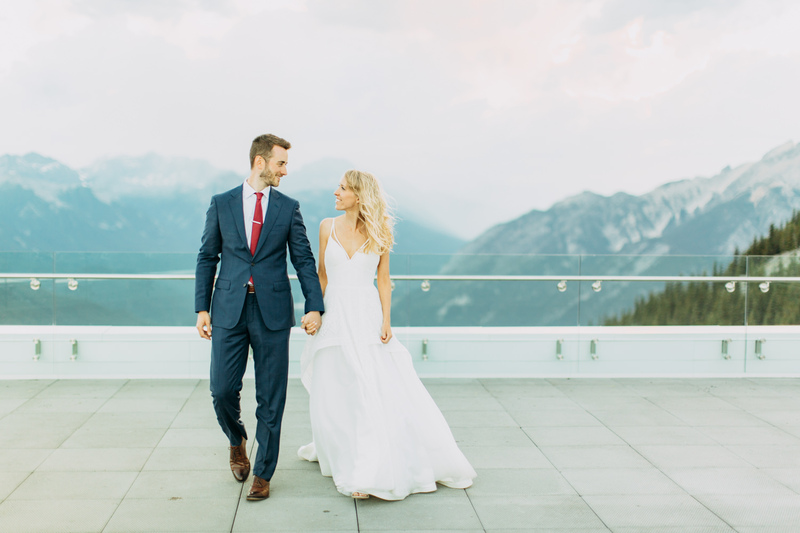 I may be biased, but I think Banff is one of the best places for an elopement or wedding. 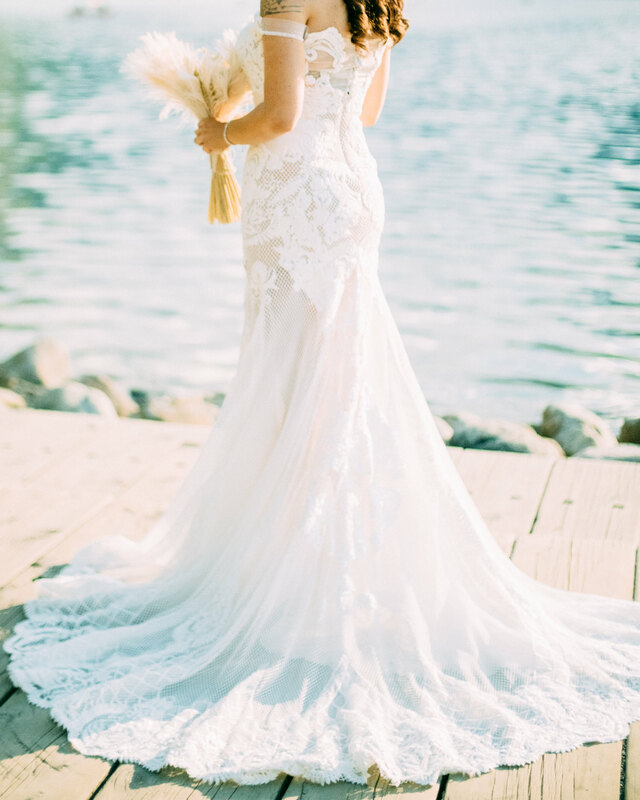 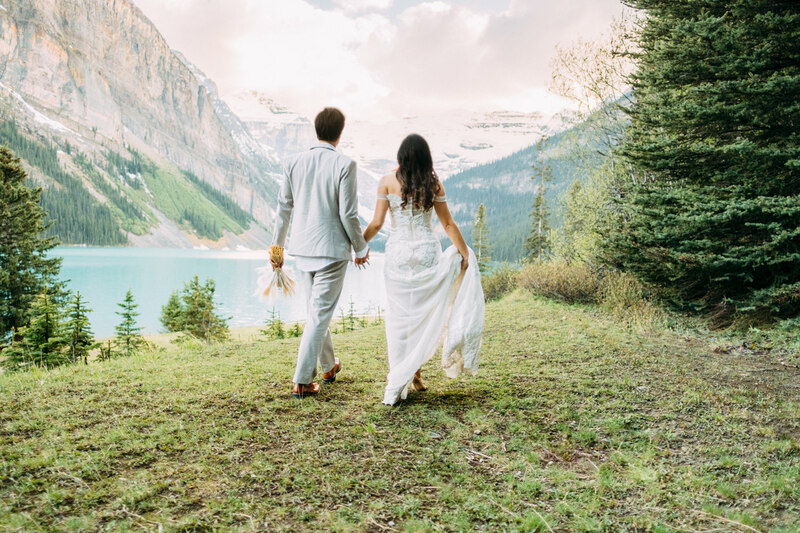 There are so many beautiful lakes, amazing views, and stunning vistas that provide a couple with a great backdrop. 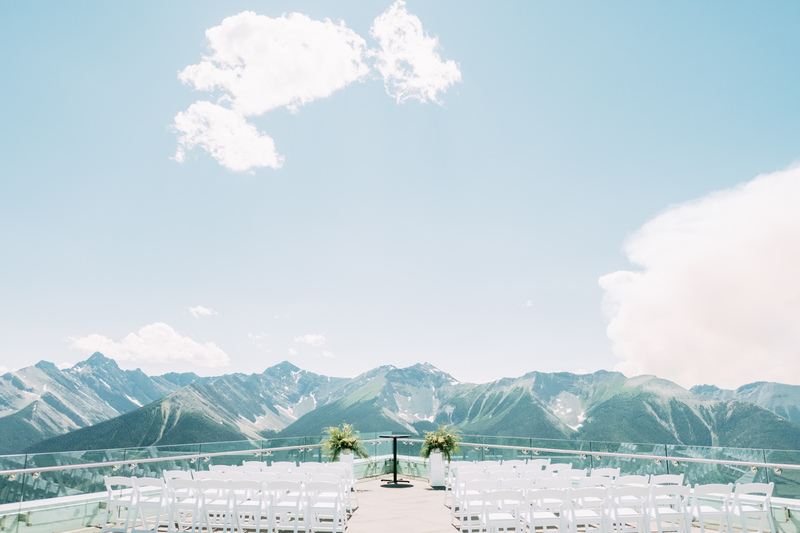 It’s more than just the backdrop, though; it’s the experience and feeling that comes from being in these gorgeous areas. 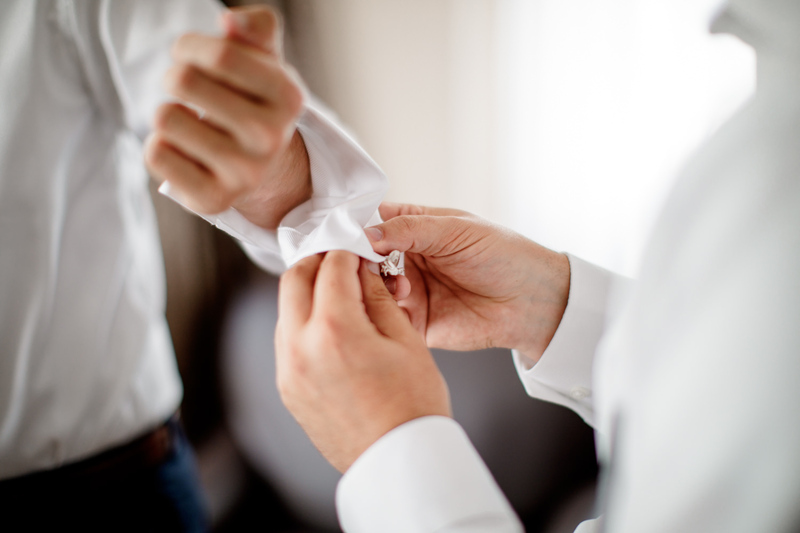 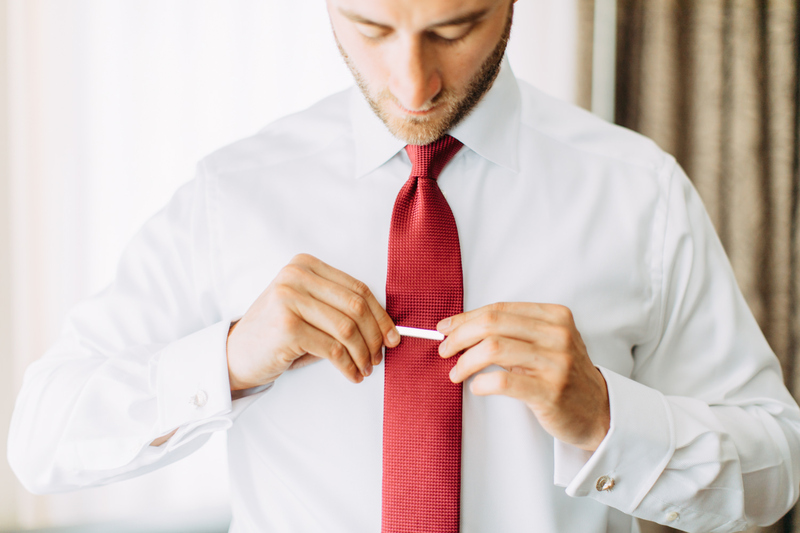 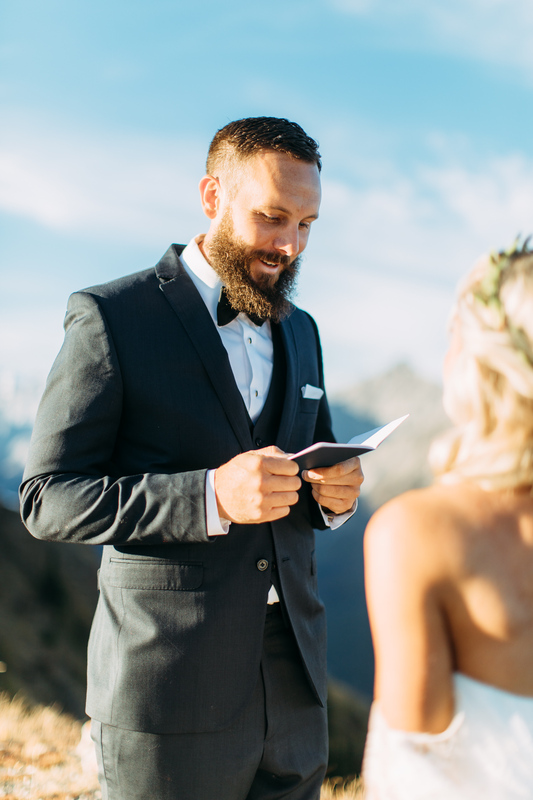 I often feel like I get to also play a wedding planner and tour guide while I provide my couples with unique experiences and locations for their imagery. 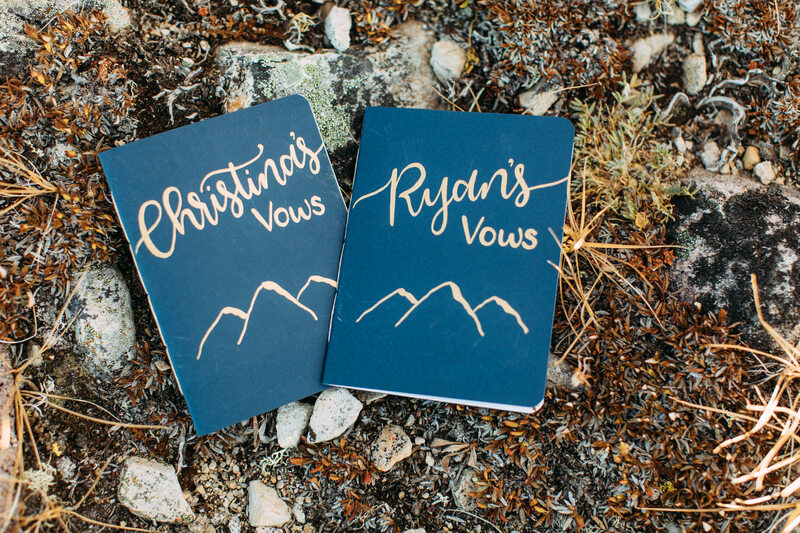 Christina and Ryan’s day was one of those beautiful days. 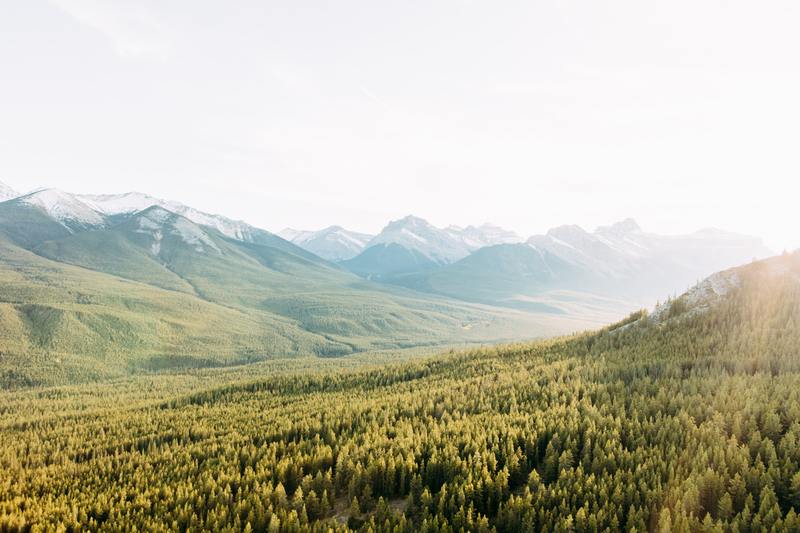 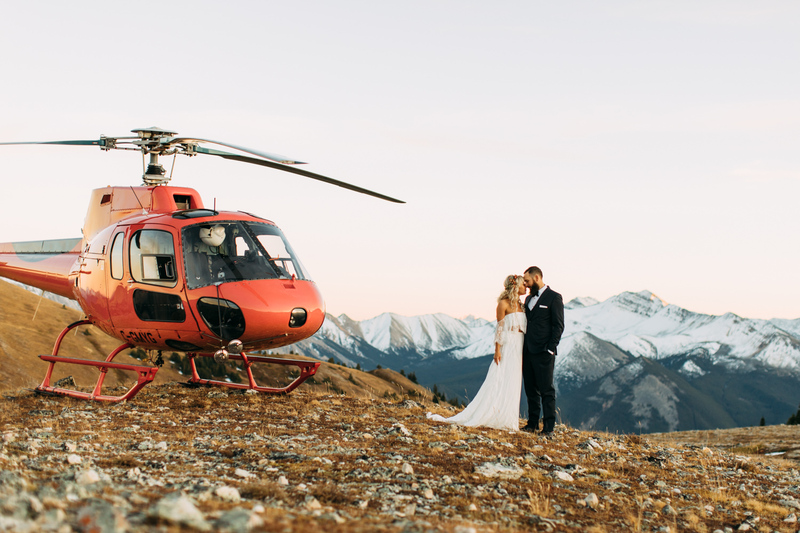 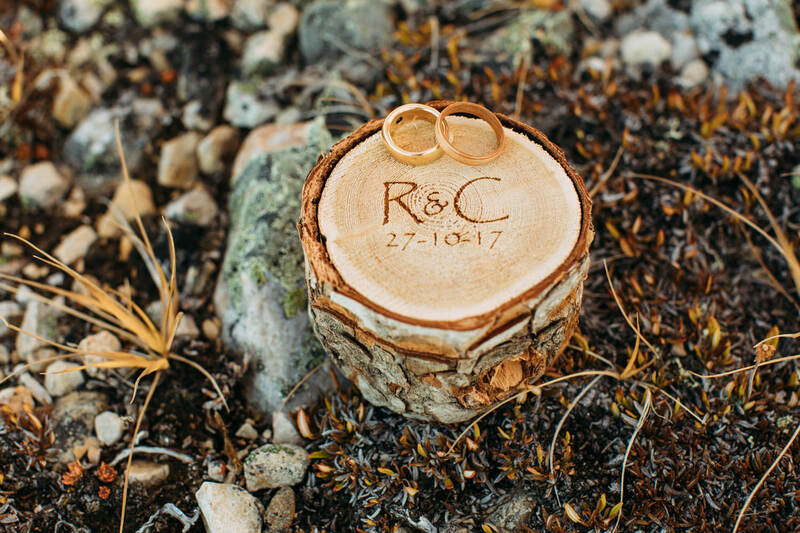 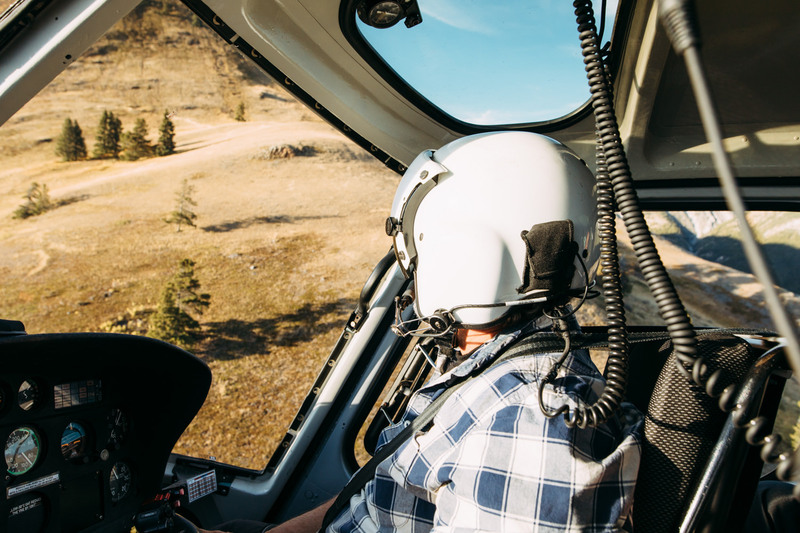 Here is some of the imagery from their helicopter wedding in Banff. 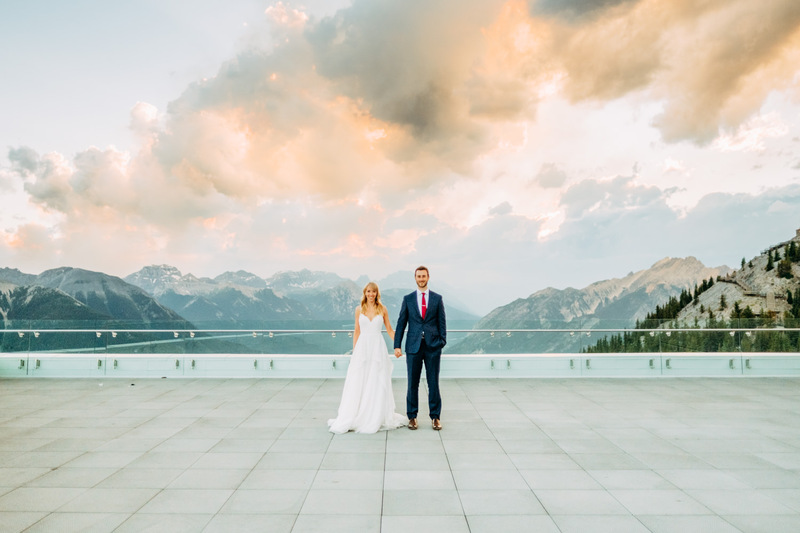 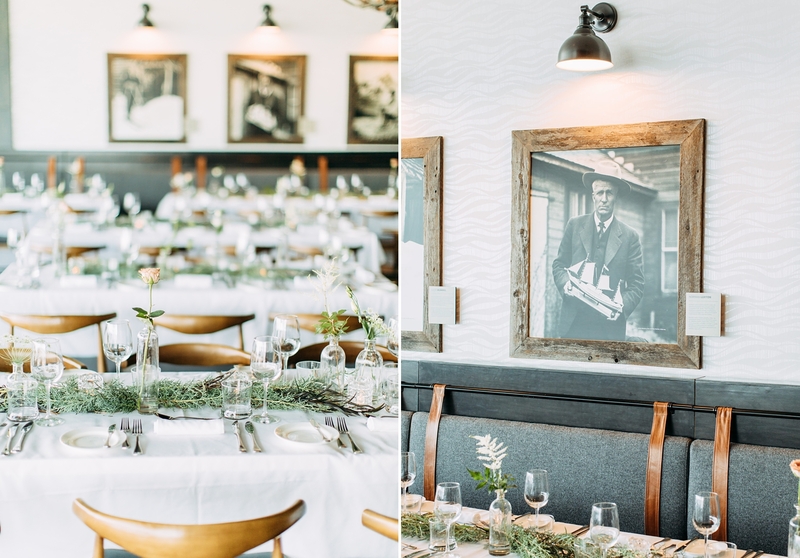 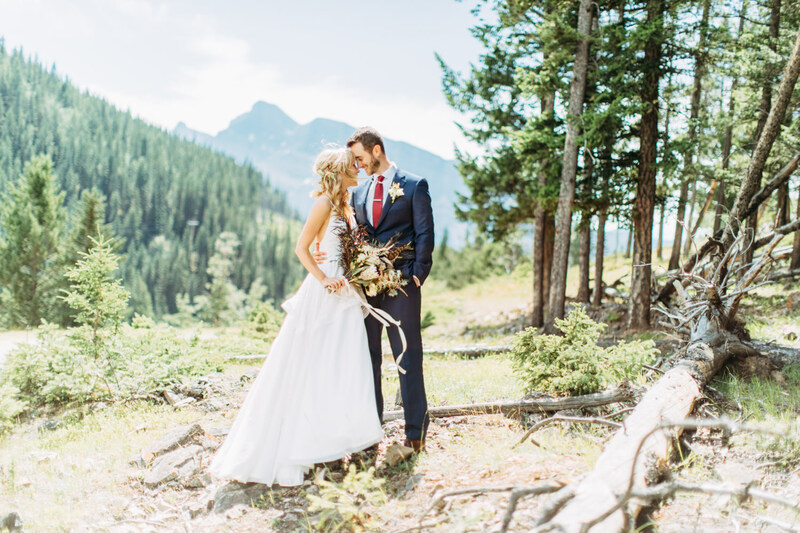 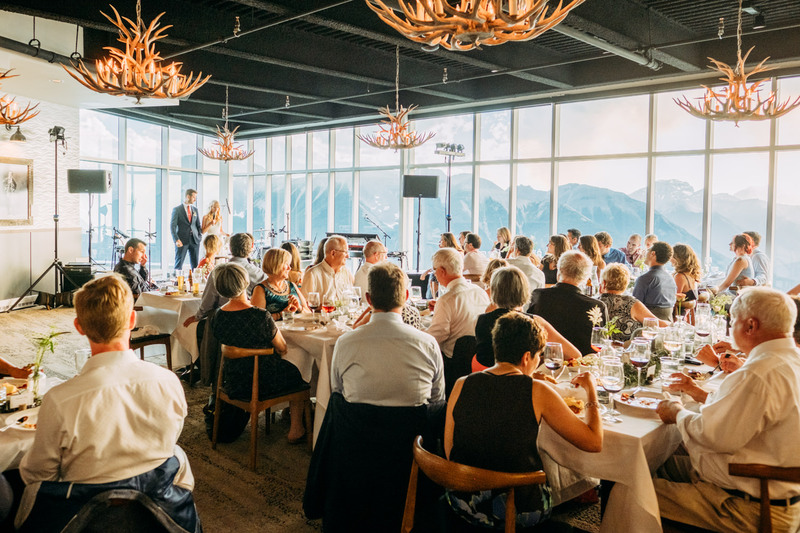 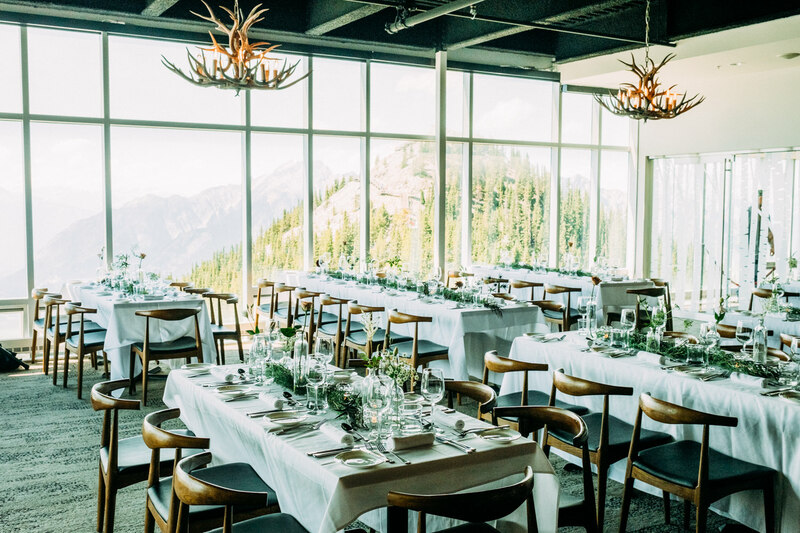 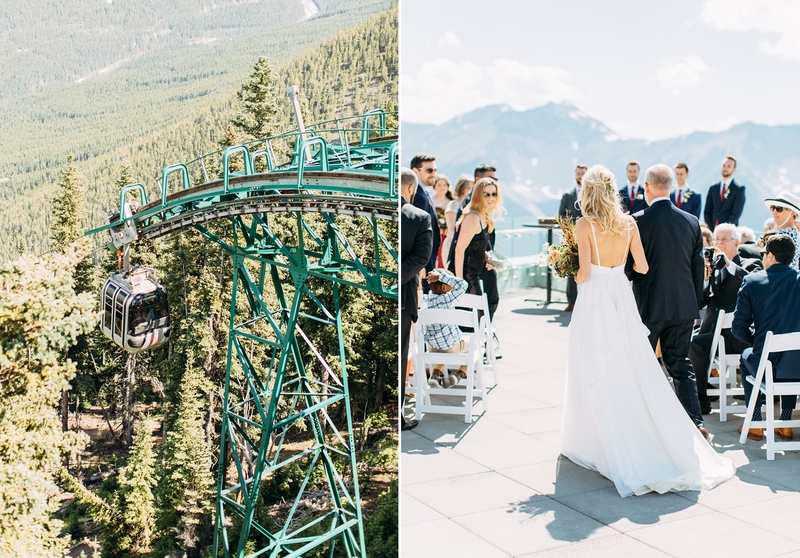 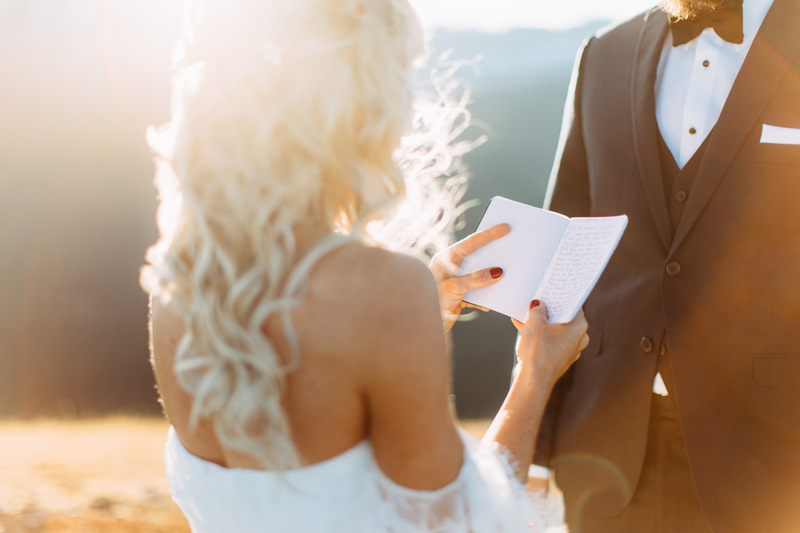 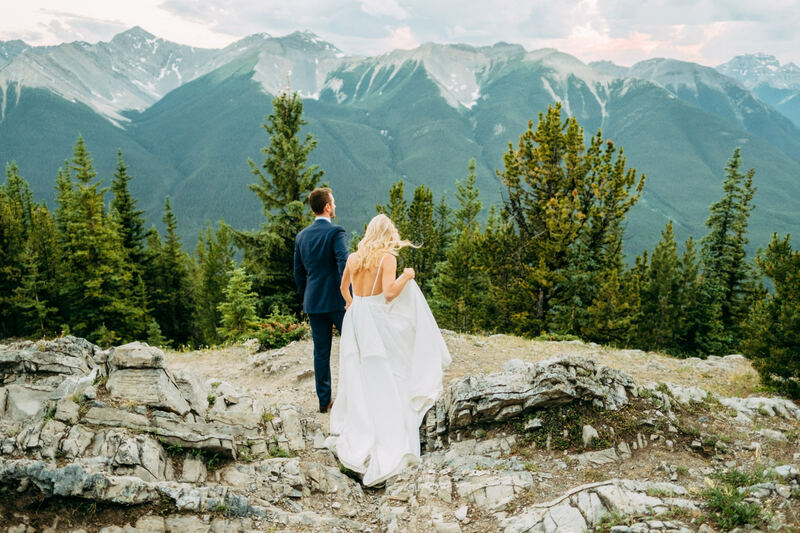 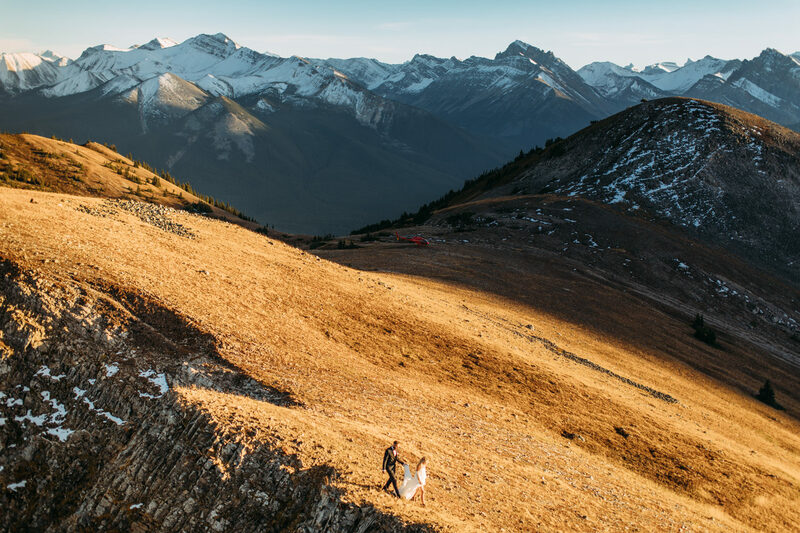 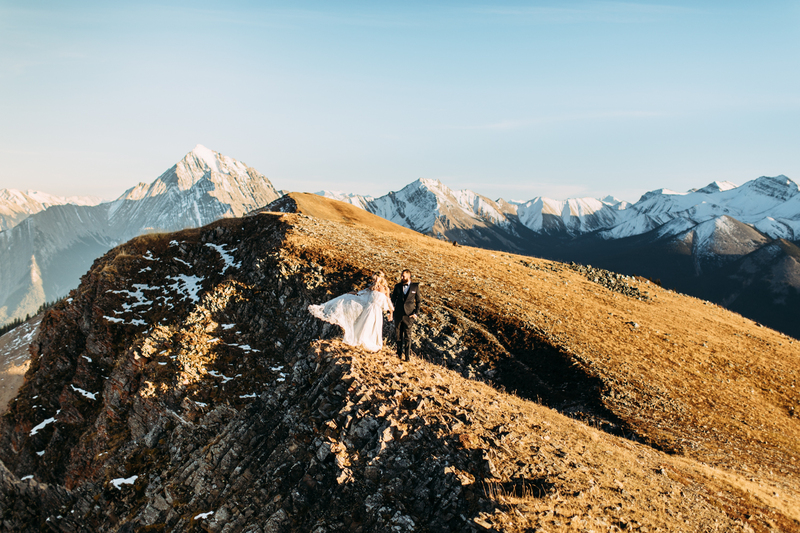 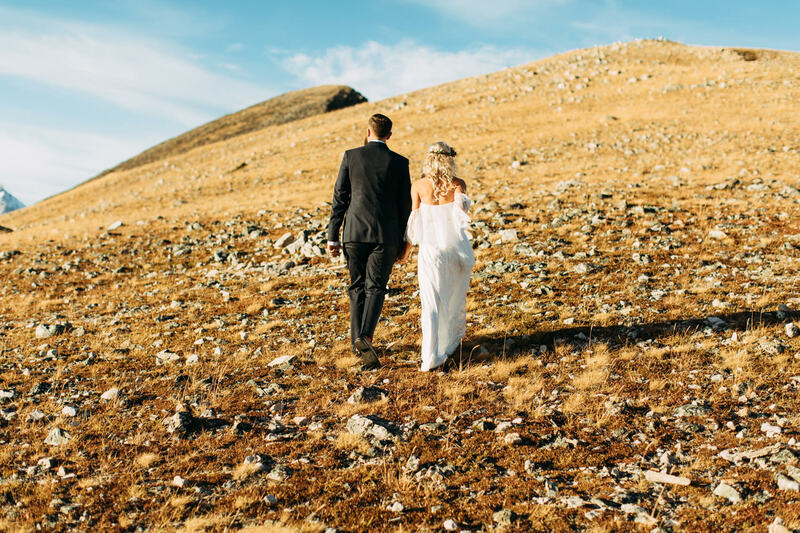 This year a beautiful new wedding venue opened on top of the picturesque Sulphur Mountain: The Sky Bistro. 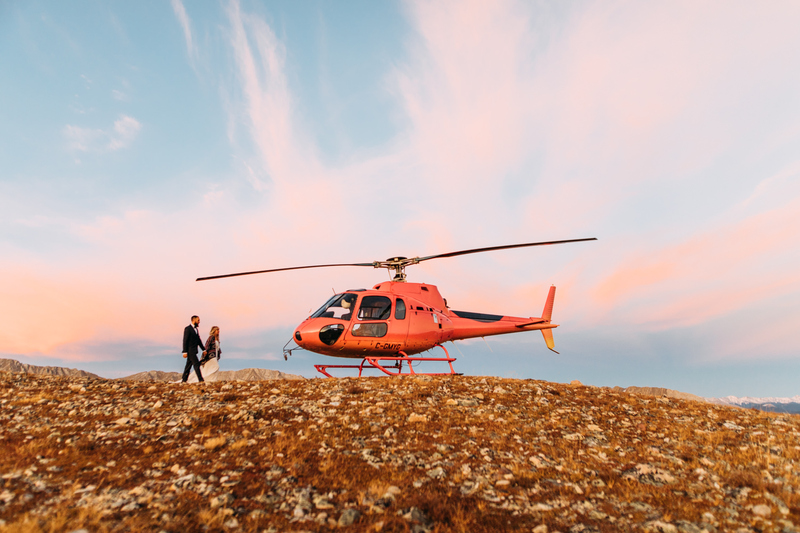 I was fortunate enough to be one of the first wedding photographers to document a wedding there and couldn’t wait to check it out. 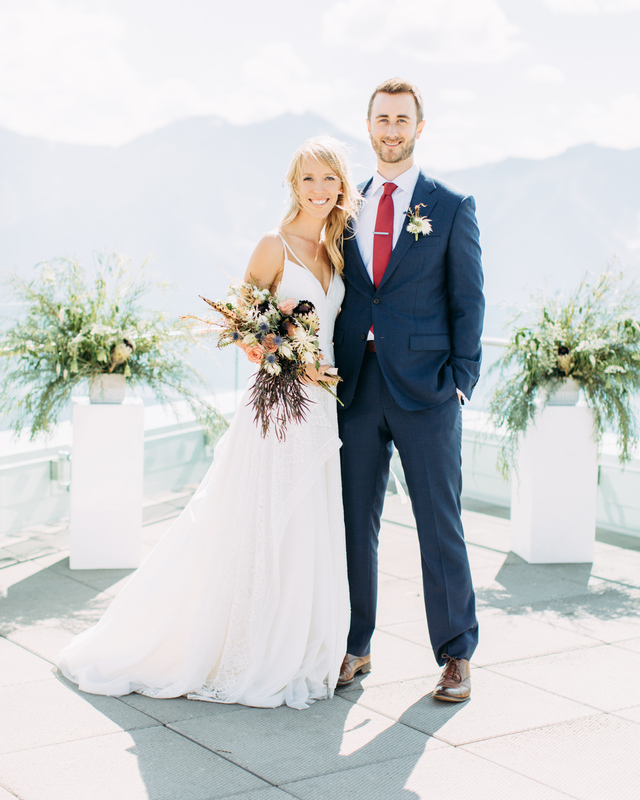 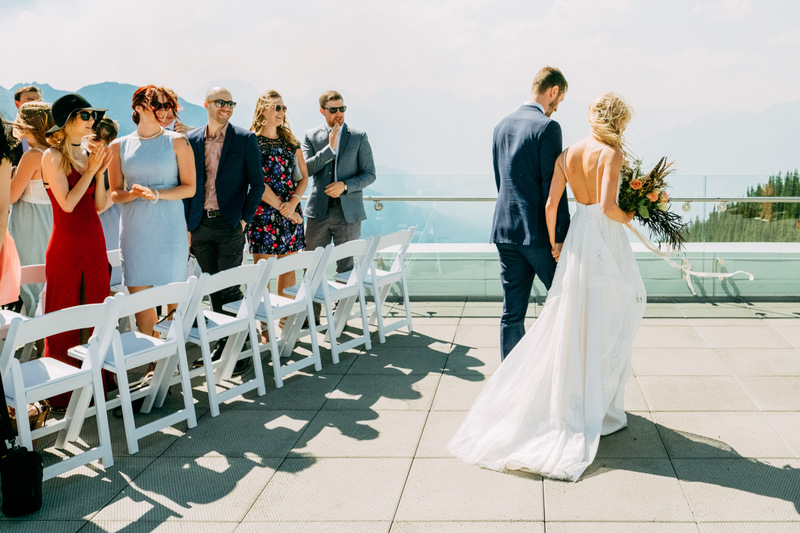 The ceremony took place on the rooftop, complete with a backdrop of mountaintops, followed by the reception inside the stylish Bistro. 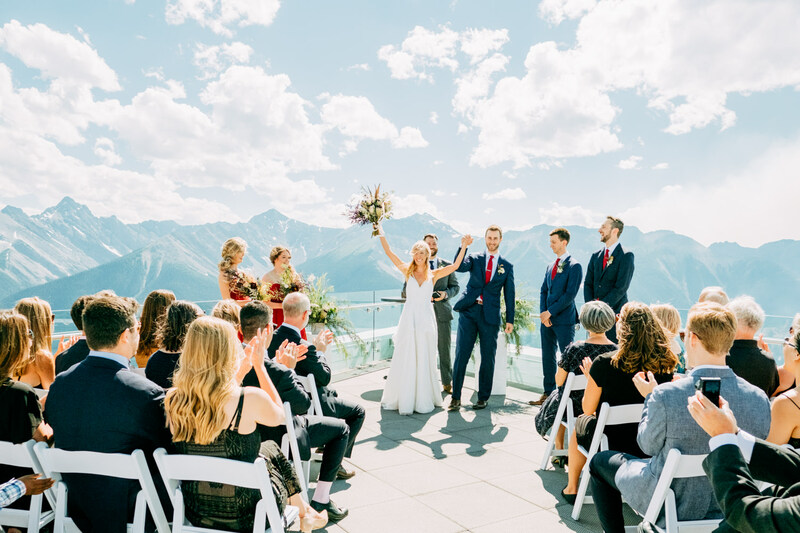 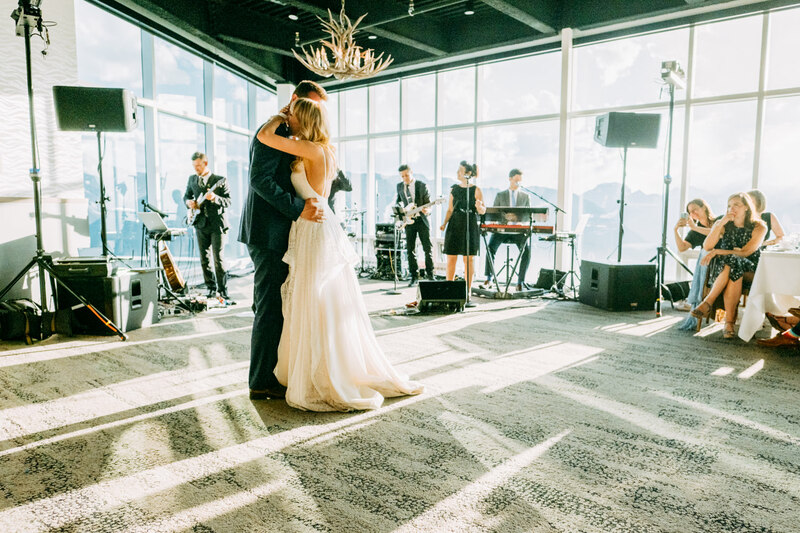 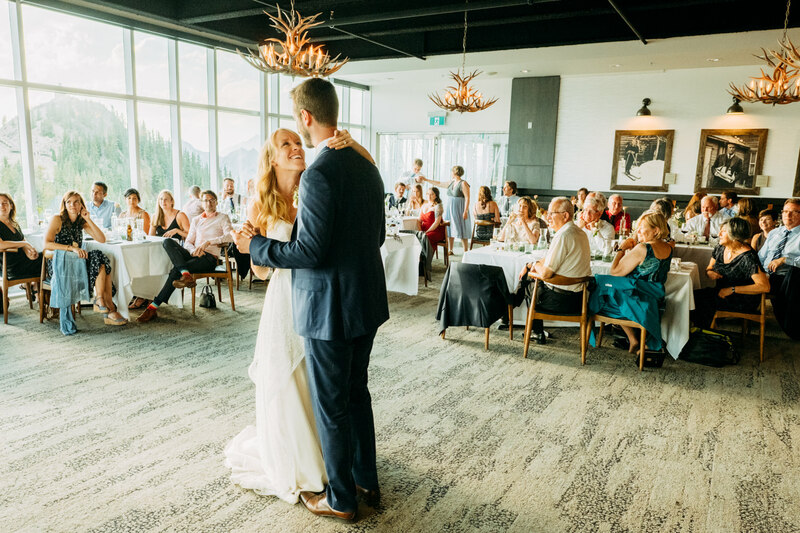 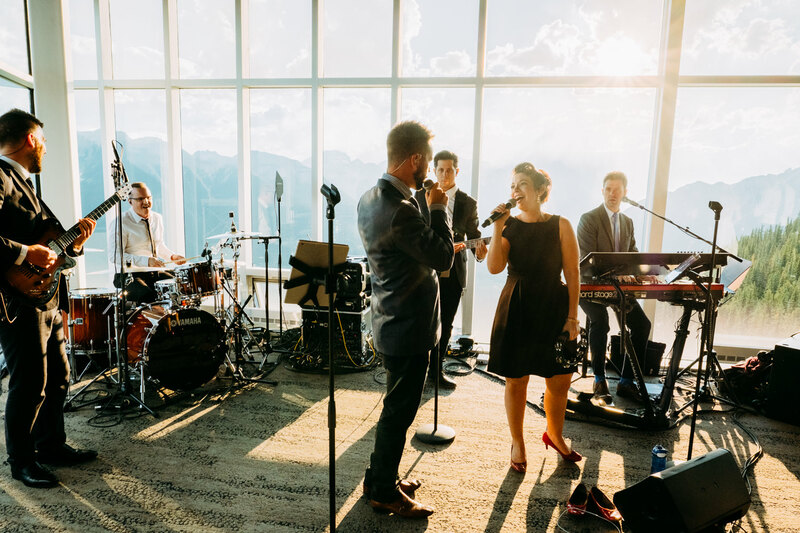 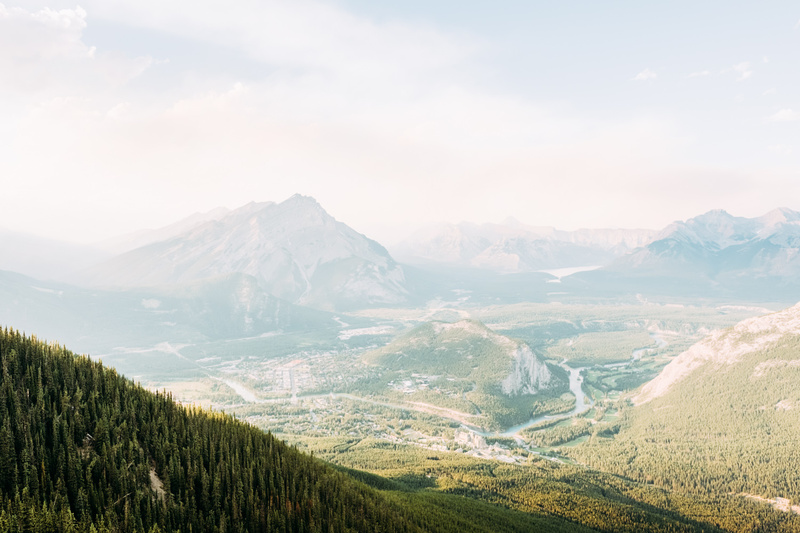 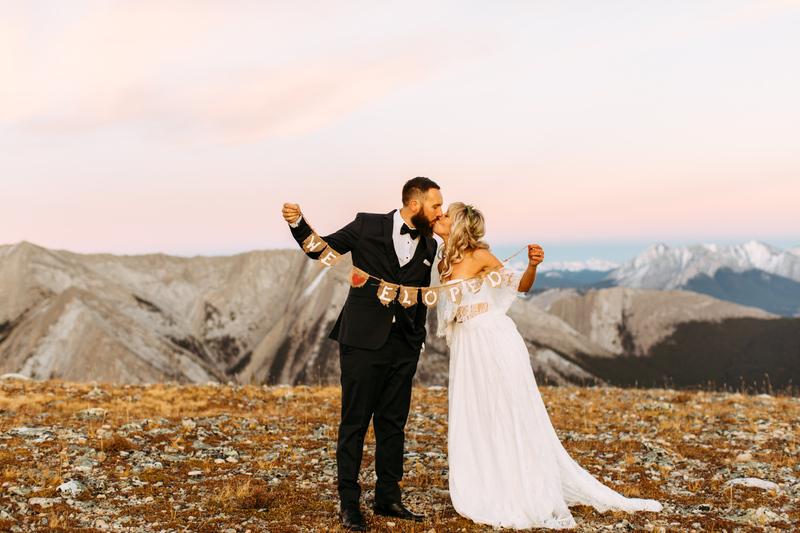 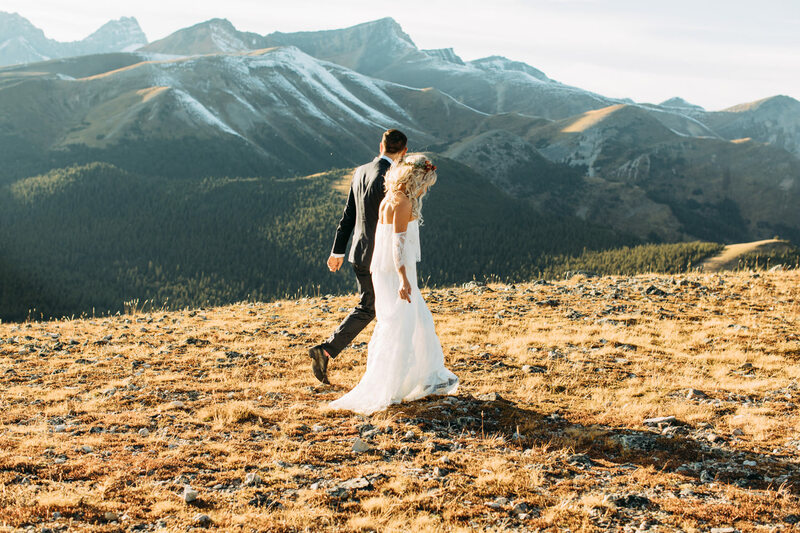 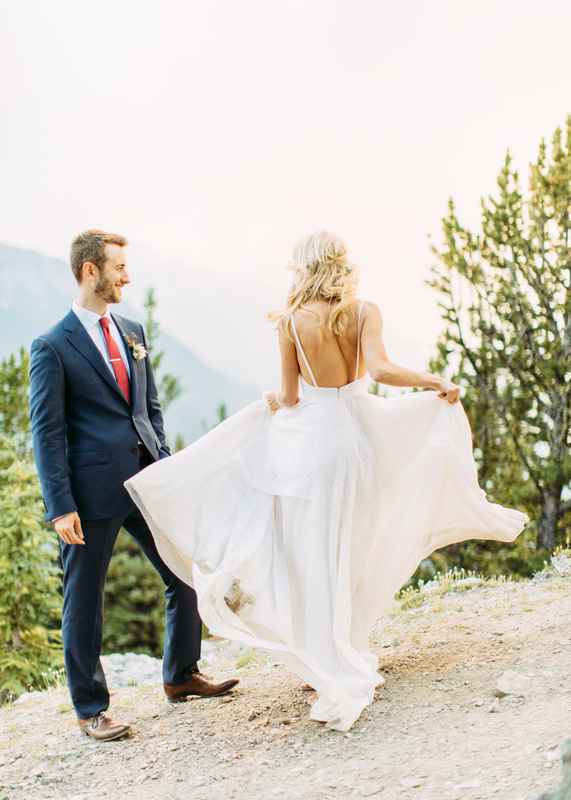 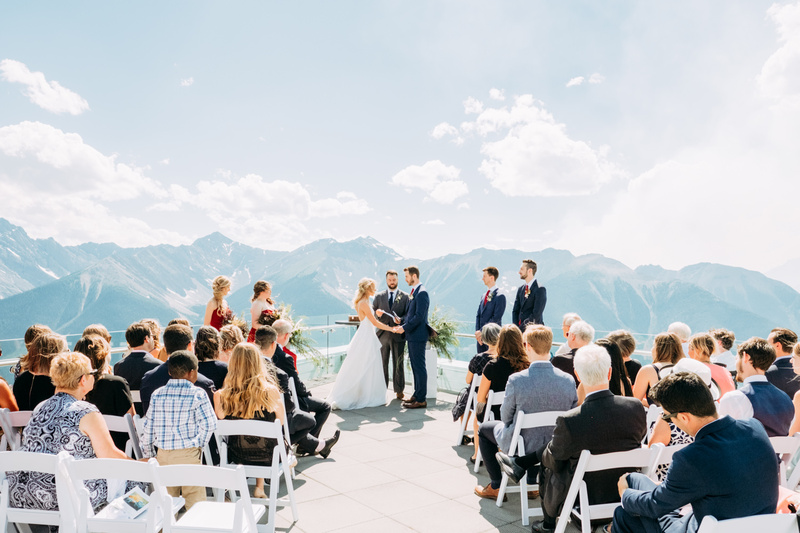 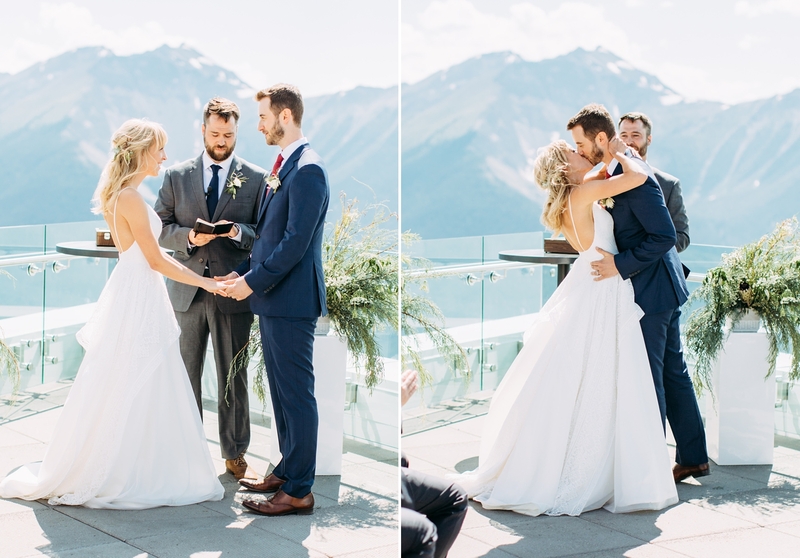 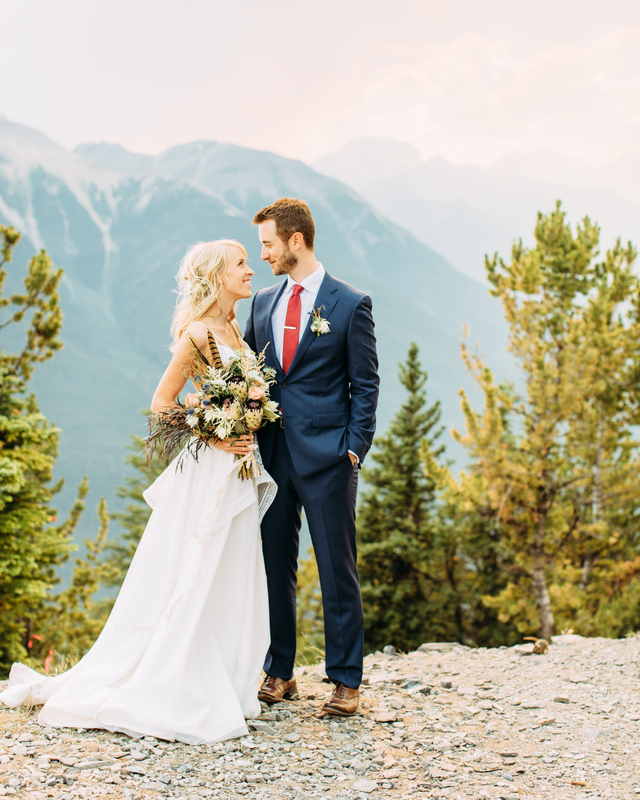 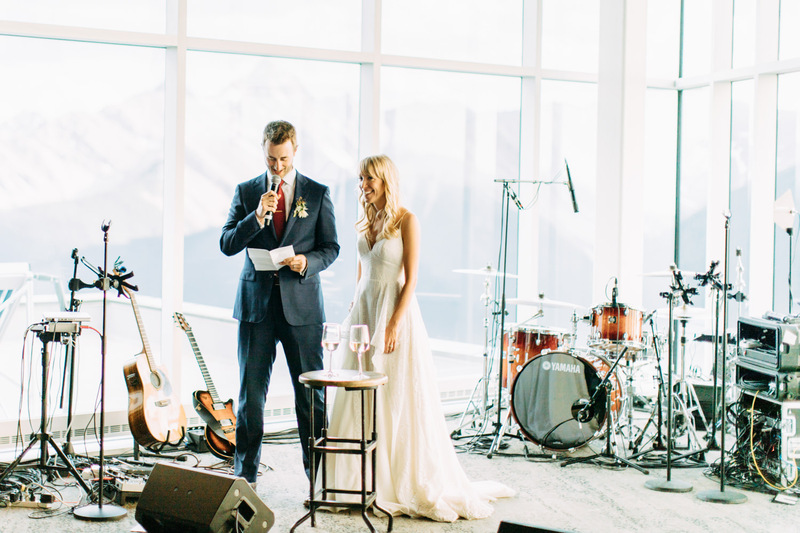 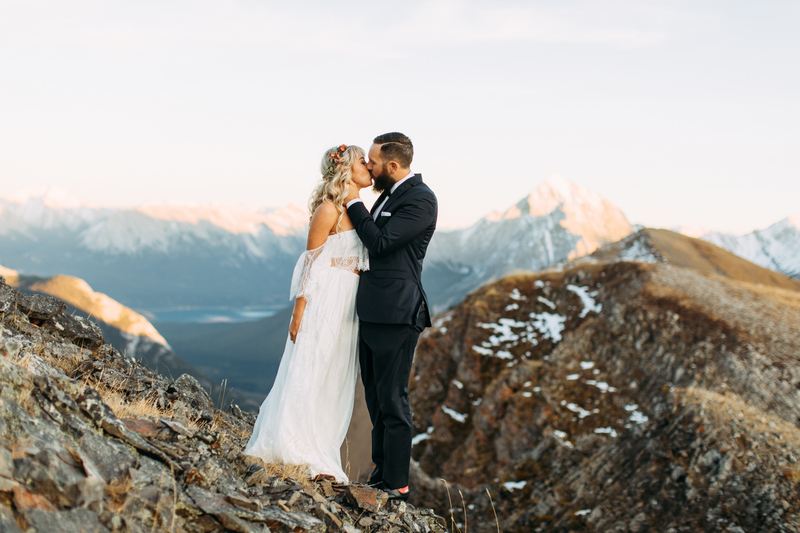 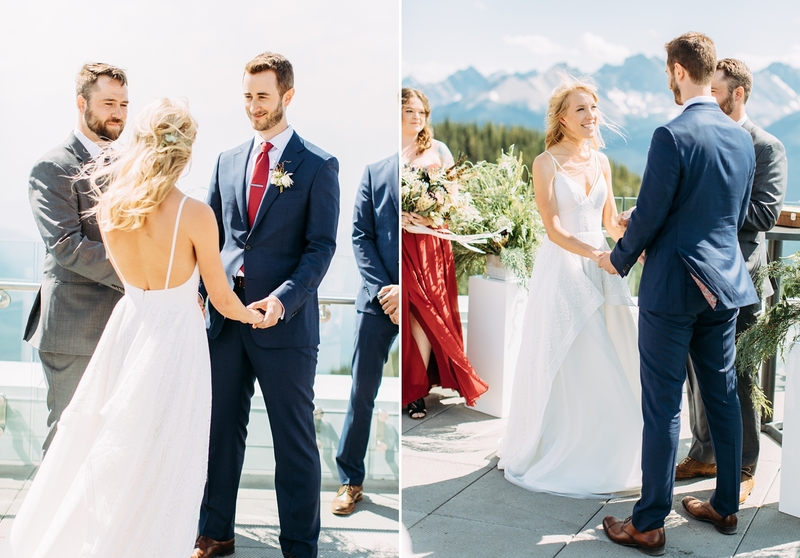 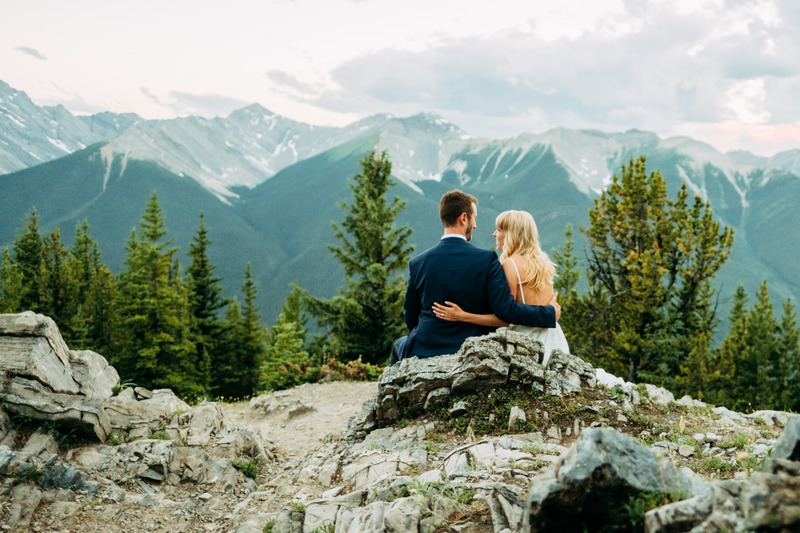 There are other wedding venues in British Columbia with similar mountain-top settings, but The Sky Bistro is the first in Alberta with easy access via the Banff Gondola. 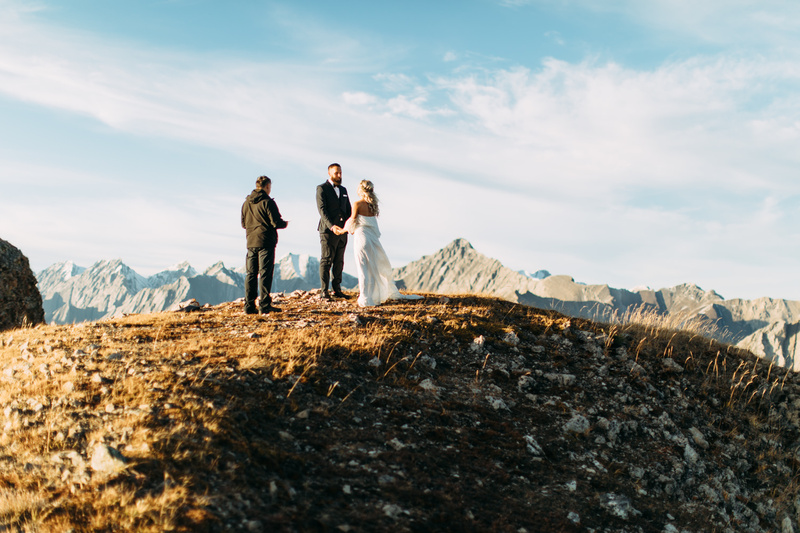 I look forward to documenting more weddings there! 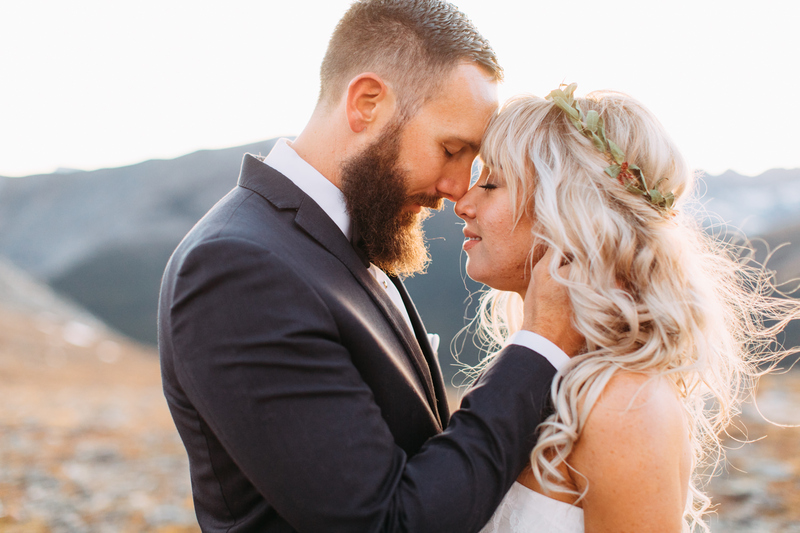 Brooke and David not only had a unique wedding venue, but they also ended up with a rather unique day as it was right when all the forest fires started. 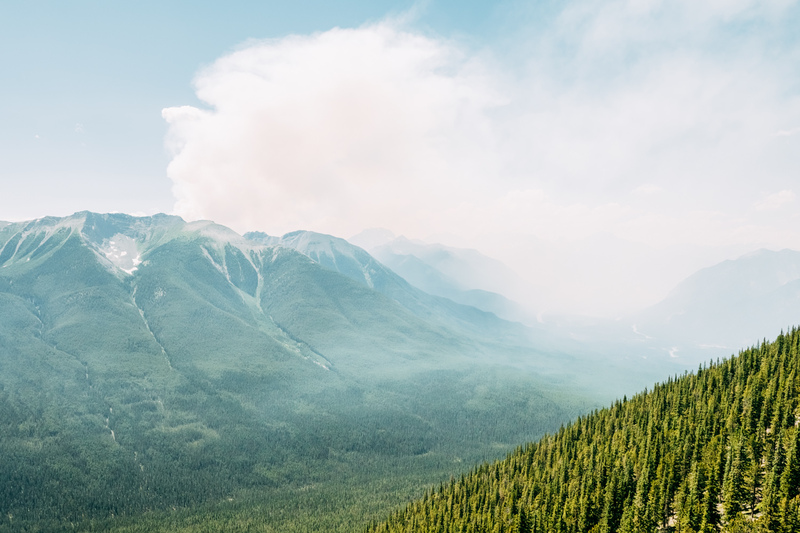 The whole day smelled like a camp fire and by the late afternoon smoke began to fill the valley providing some interesting diffused light. 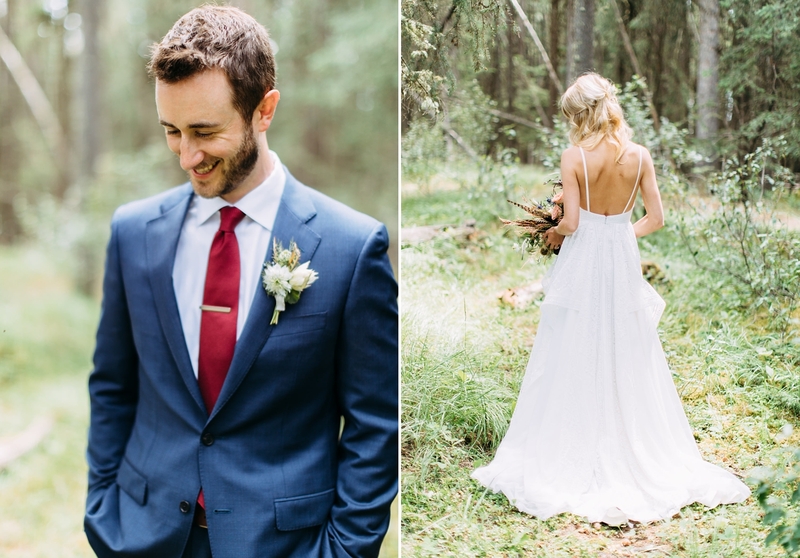 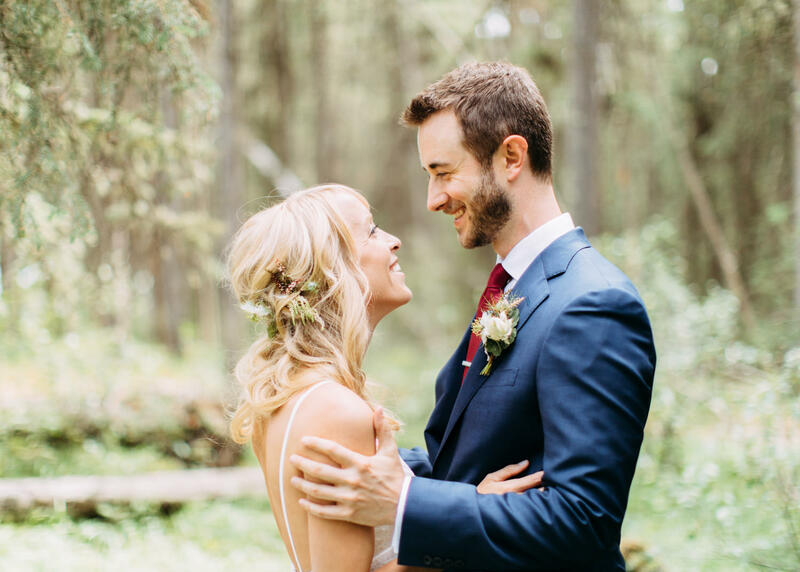 There has to be some poetic symbolism somewhere in the parallel of the new life and fresh start that the fires bring to the forests and these two beginning their new life together as husband and wife. 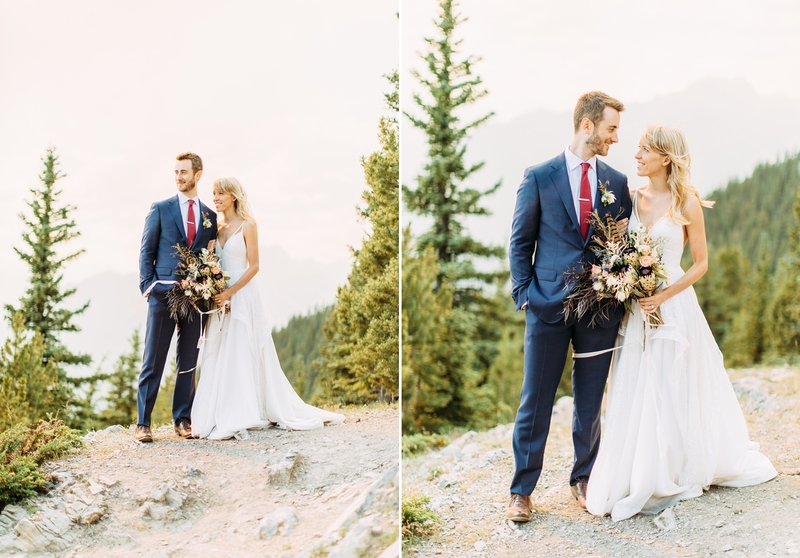 Despite the challenges of the smoke and forest fires, the day was perfect! 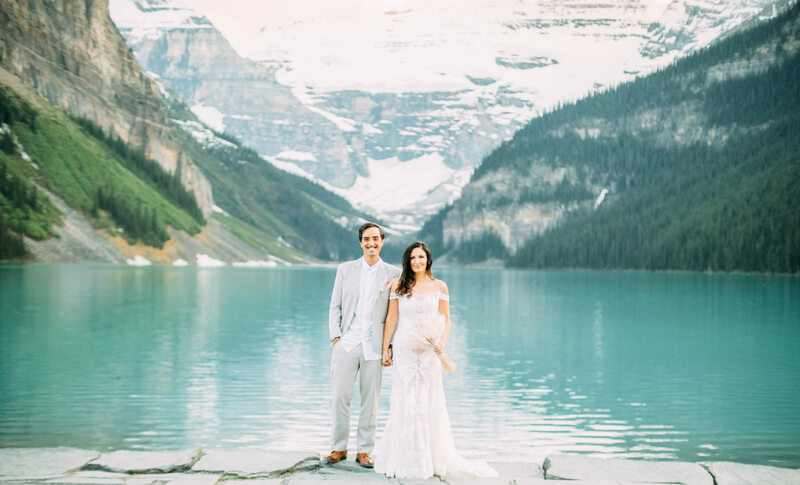 It’s not uncommon for couples to come to Lake Louise or Banff on their honeymoon. 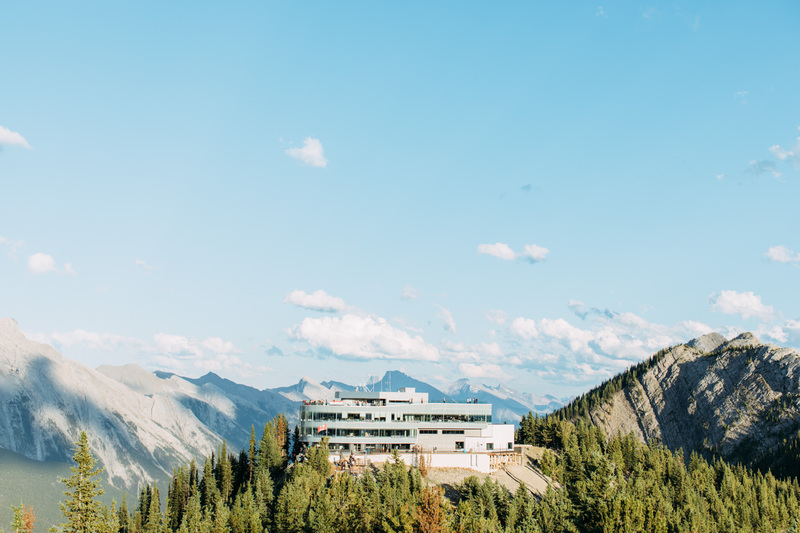 It is such a gorgeous place to relax, hike, and enjoy good food. 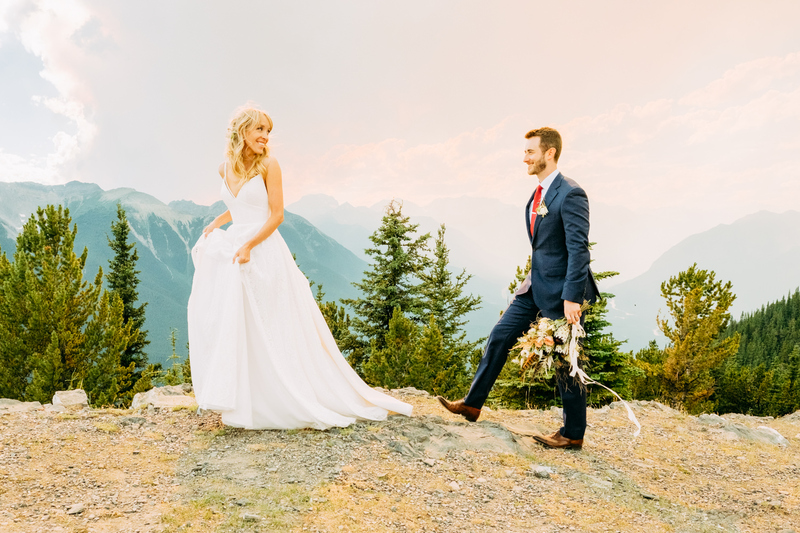 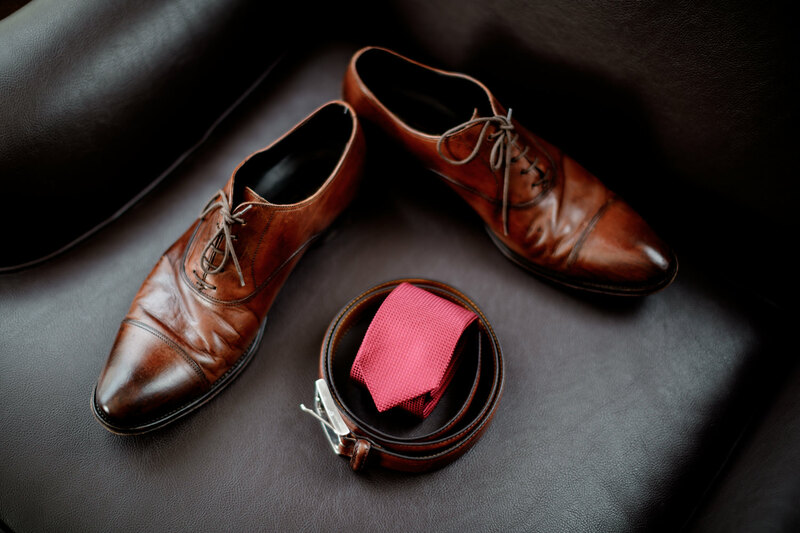 Lately I have had a increase in the number of inquires I get from couples who are bringing their wedding attire with them and looking to book a wedding photographer. 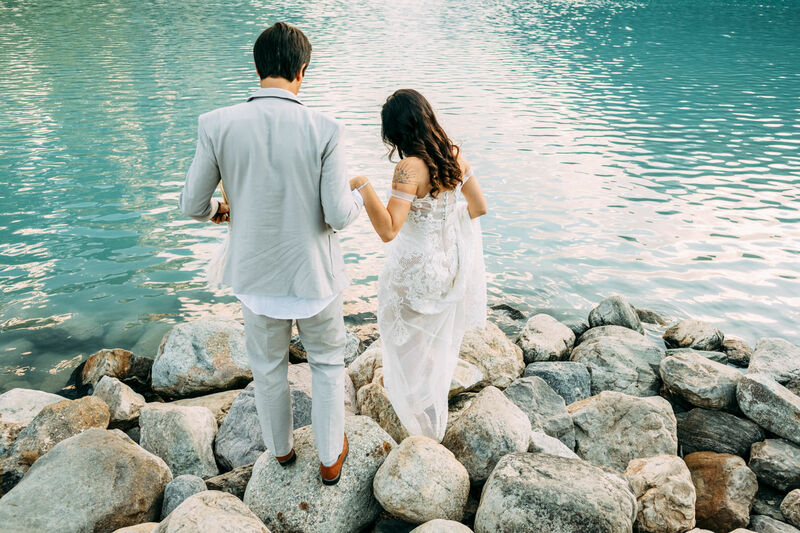 I have loved working with couples who are doing this. 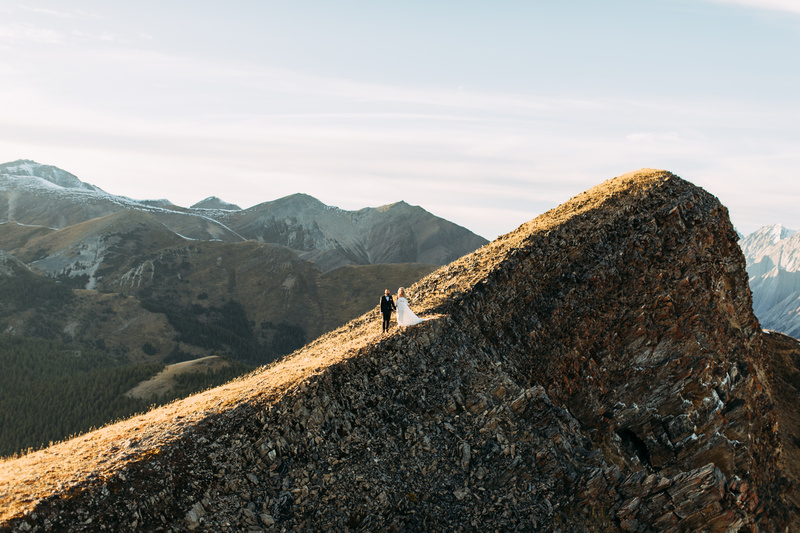 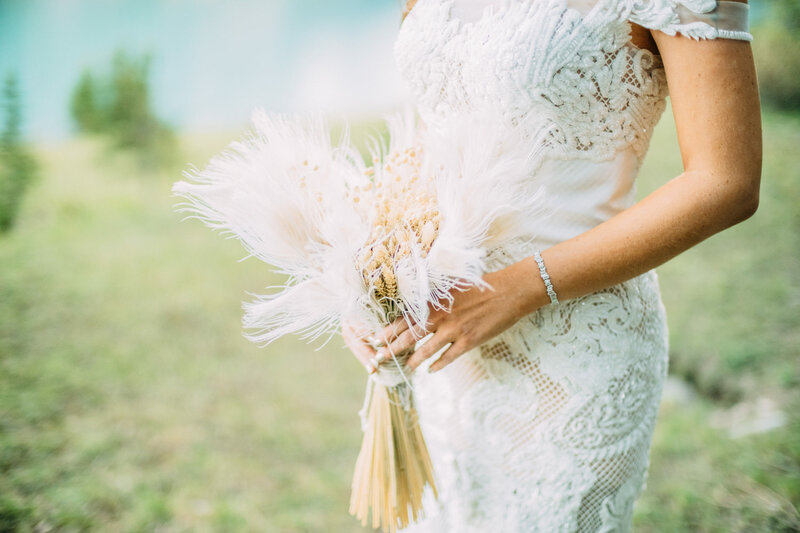 Not everyone is able to elope or have a destination wedding where they would like, so this has been a great opportunity for couples to get some amazing wedding photos done in a picturesque place. 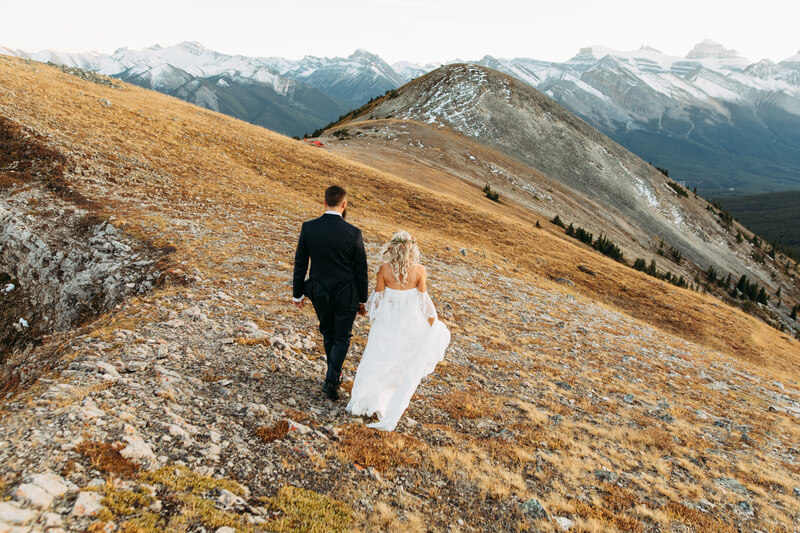 If you recently stumbled upon my work and are coming to Banff or Lake Louise on your honeymoon, I’d love to connect! 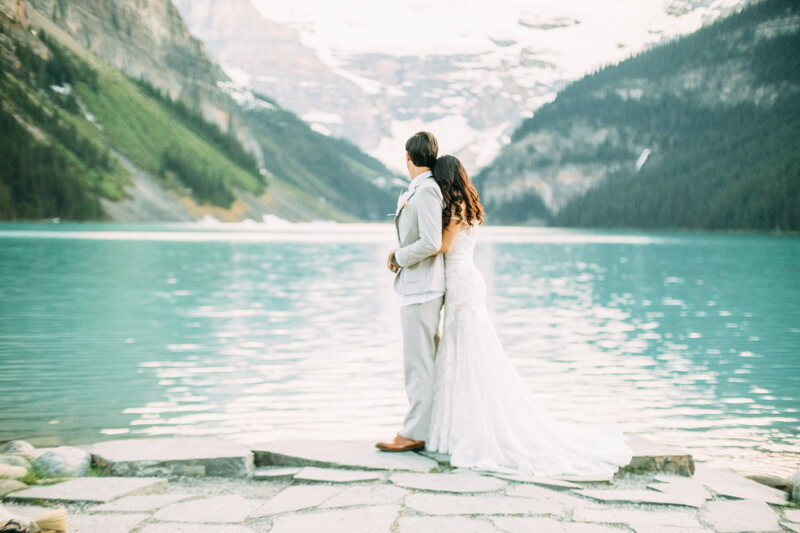 Here are a few of the images captured for Amanda and Kevin while they were passing through Lake Louise on their honeymoon.